Derek Smalls—the hilarious Spinal Tap bassist portrayed by actor Harry Shearer, who's most famously known for his voice work on The Simpsons—returns this spring with a debut solo album, and he's enlisted the help of some Foo Fighters and Red Hot Chili Peppers members on the new release. 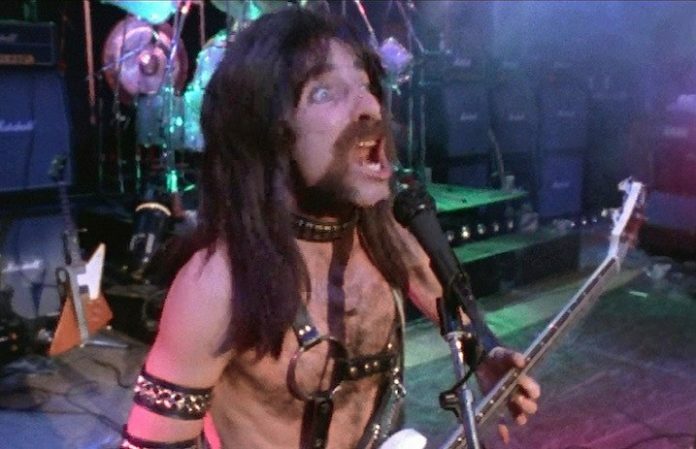 That's right, if you thought you'd seen all of Smalls' “Jazz Odyssey” wonderment from the defining mockumentary This Is Spinal Tap, get ready for the character's first solo LP: it's called Smalls Change (Meditations Upon Ageing), and it's out this April via Twanky Records/BMG, according to the NME. Along for the ride on Smalls Change are a whole host of guest musicians including Foo Fighters' Taylor Hawkins and Red Hot Chili Peppers' Chad Smith, plus Steely Dan's Donald Fagen, David Crosby, Peter Frampton, Dweezil Zappa, Joe Satriana, Steve Vai and former Yes member Rick Wakeman. We hope the album cover is all black.